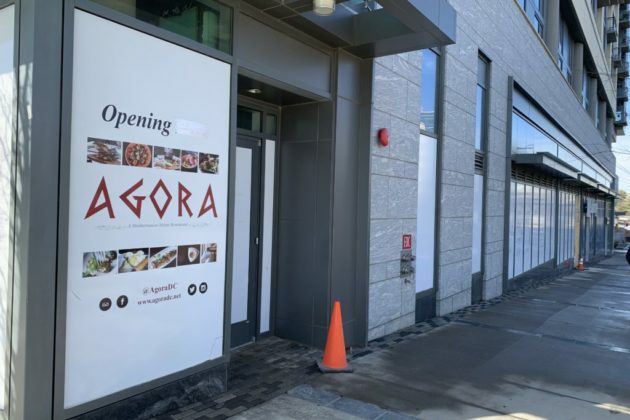 Agora, the Mediterranean restaurant planned for a 26-story apartment complex behind Tysons Galleria, has on a sign on the building proclaiming “opening 2018” — these days, while the restaurant is still opening, there’s a strip of tape covering the 2018 part. It isn’t the first delay for the restaurant, which last year was forced to push the planned opening back to December. Ismail Uslu, owner of Agora, said the restaurant has struggled with a slow permitting process currently entering its 11th month. 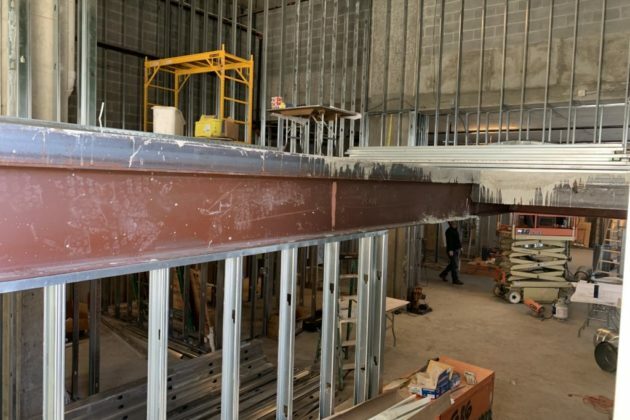 Inside, the building is designed with split levels, and while it’s still under construction the bare bones visible, Uslu said he hopes to bring in decorations from Turkey. When the restaurant does eventually open, the menu will feature small plates and cocktails similar to its trendy Dupont Circle location.